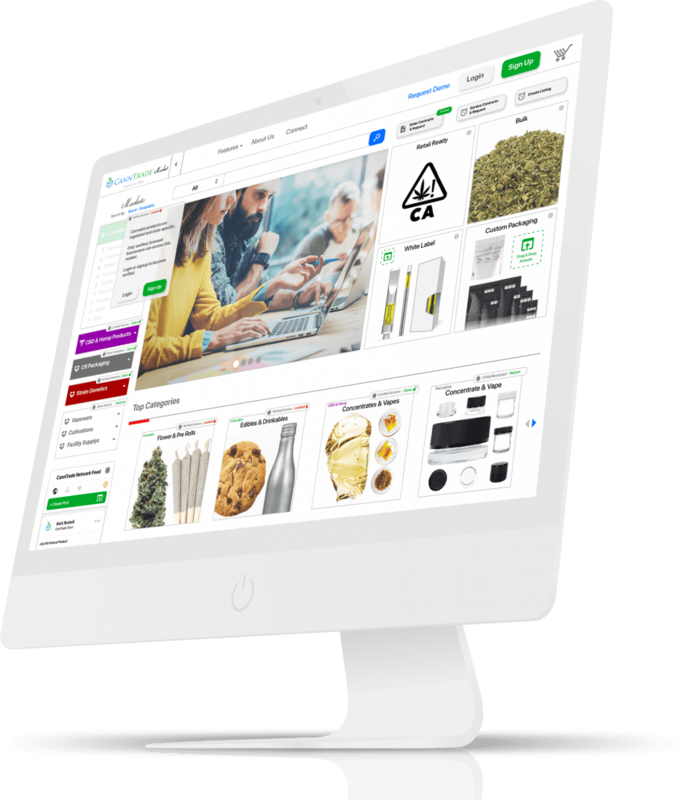 Cannabis & Hemp are at your fingertips on CannTrade's Marketplace, the world's largest Industry Platform. Join today and plug in to the hub of commerce. 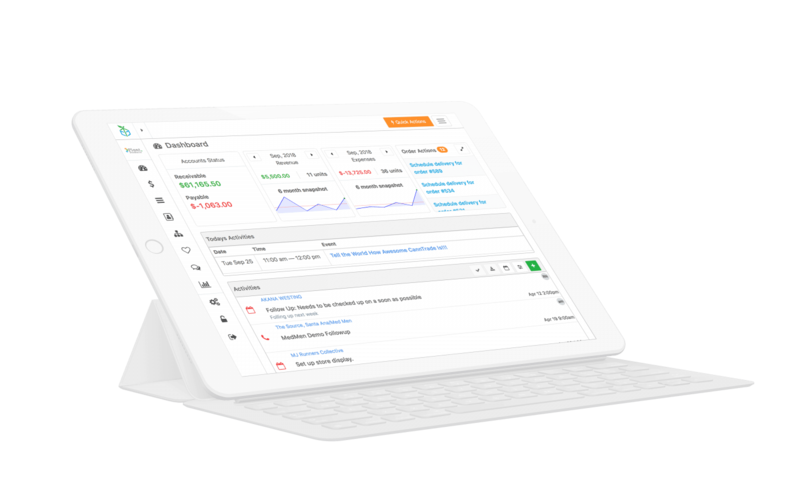 Tools needed to manage accounts, orders, & leads with ease, on any device. Power in the hands of your team. Put your website to work. Let clients purchase from your site 24/7 with your very own Wholesale Storefront. Dual functioning & auto-updating. Embeddable & responsive. Designed for the cannabis industry. Upload information & get verified in minutes. Order status updates & live calendar of incoming + outgoing deliveries. Order quality product from top licensed brands in your state, totally free. Our platform saves businesses an average of 20 hours per month by eliminating the hassle of restocking your inventory. No more emails, phone calls or spreadsheets needed to place an order. Select your brands and products and checkout. Hemp/CBD businesses gain access to a broad network of buyer and sellers. List products on a fully compliant Marketplace and track sales using a hemp-focused CRM. Engage your audience by promoting your products & utilize tools to improve your website capabilities. Clients have access to your Wholesale Store 24/7, making purchasing a breeze. Tools needed to manage accounts, orders, & leads with ease, on any device. Communicate, transact and establish relationships with the largest network of licensed hemp businesses. All businesses that supply products and services to the industries of Cannabis and Hemp are supported here. Respond to RFP's of industry buyers. Grow your business with new and exciting contract opportunities. Utilize the tools that will help drive growth and give your business the advantages it needs in this emerging industry. CannTrade is the premier platform for getting your products & services in front of industry buyers year round. All businesses are verified so you never waste time sifting for real buyers. 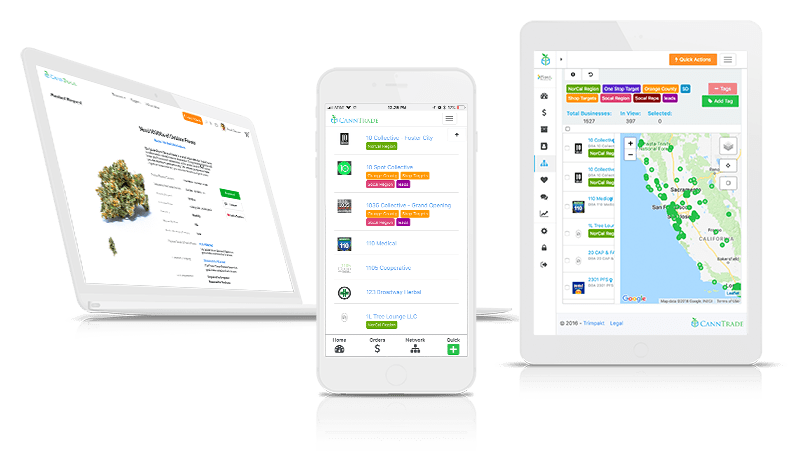 Pinpoint & manage your canna-hemp industry connections & generate more leads. Join the digital "Trade Show" that never ends. Register today to get your business shout-outs on social media.